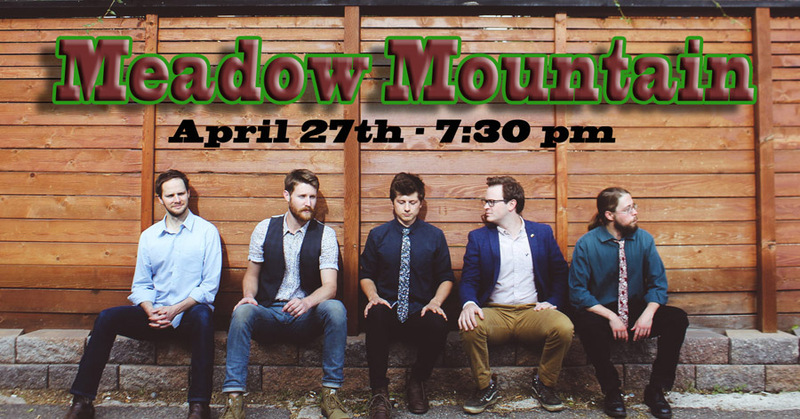 Meadow Mountain, comprised of Summers Baker (guitar), Jack Dunlevie (mandolin), Ian Parker (violin/ viola), George Guthrie (banjo), and Wilson Luallen (bass) are a band in the true sense of the word: a whole larger than the sum of its parts. Their music plays to each members’ individual strengths, and the finished product is a style of music rooted in traditional, hard-driving bluegrass. Meadow Mountain as one of the premier voices in Colorado bluegrass scene.